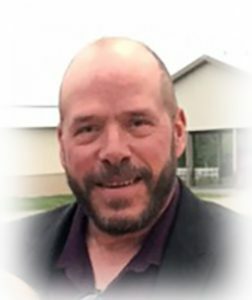 Scott A. Preisler, age 49, of Sheboygan, WI, formerly of Fredonia, WI, passed away unexpectedly on Sunday, March 17, 2019 at his home due to medical complications of diabetes. He was born on April 13, 1969; son of Harold C. “Harry” and Cecilia “Cece” Schmit Preisler in Milwaukee, WI. Scott grew up on Milwaukee Street in Fredonia, attending St. Rose of Lima parochial school and graduating from Ozaukee High School, class of 1988. 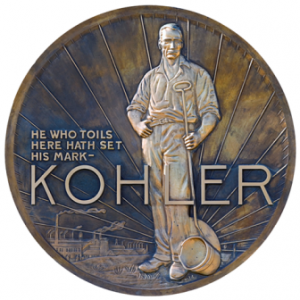 For over 27 years, Scott worked for Kohler Company, in the Casting/Finishing Department. He has been a member of the United Auto Workers Local 833. Scott was a hard working guy who loved his kids and family. In his spare time, Scott enjoyed hiking with his children and his dogs, especially for morel mushrooms. He had been an avid hunter, fisherman, snowmobiler and Harley rider. He is survived by his daughter Ashley (Duncan Freiburger) Preisler and son Mitchell Preisler, both of Fredonia; his sister Ann Preisler, two brothers John (Cindy) Preisler and David (Lori) Preisler and former spouse Brenda Preisler, all of Fredonia. He is further survived by nieces and nephews Miranda and Ross Hurley, Jake and Heather Saltzmann, Jensen, Payton and Jordan Hurley, Chase and Josie Spielvogel, Stacy (Tim) Huegerich, Julie, Brian (Kristin), Sean (Emily), Matt and Amber Preisler, other relatives and friends. Scott is preceded in death by his parents and his infant brother Michael. A Catholic Communion Service will be held for Scott at 11:30AM Saturday, March 23, 2019 at Divine Savior Parish-St. Rose Church, 305 Fredonia Avenue, Fredonia, WI. Family will receive relatives and friends from 9-11:15AM Saturday AT CHURCH prior to the service. Interment St. Rose Cemetery, Fredonia. Previous Post: Federspiel, Carl J. Next Post: Knepprath, William E., Jr.
John I am so sorry….that is terrible news to hear…boy I remember Scott when he was just small and running around in the back yard with him…playing till exhausted…..our thoughts and prayers are with you and the entire family…. Deepest sympathy to Scott’s family. He was a good man & will be missed. I am sorry to hear about Scott’s passing, I knew him during my time working for Kohler in the Cast Iron Foundry, he was a good man. Little did I know of the connections to Port Washington / Fredonia, it truly is a small world. Rest in peace Scott.